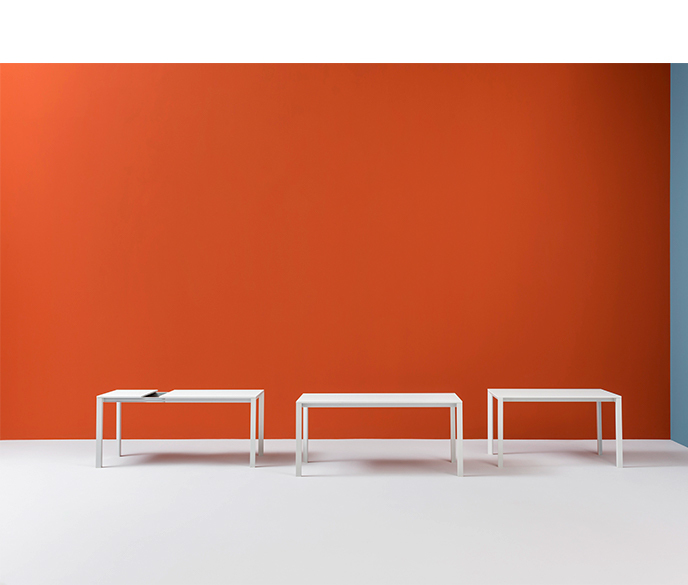 More table is available in 3 different sizes. 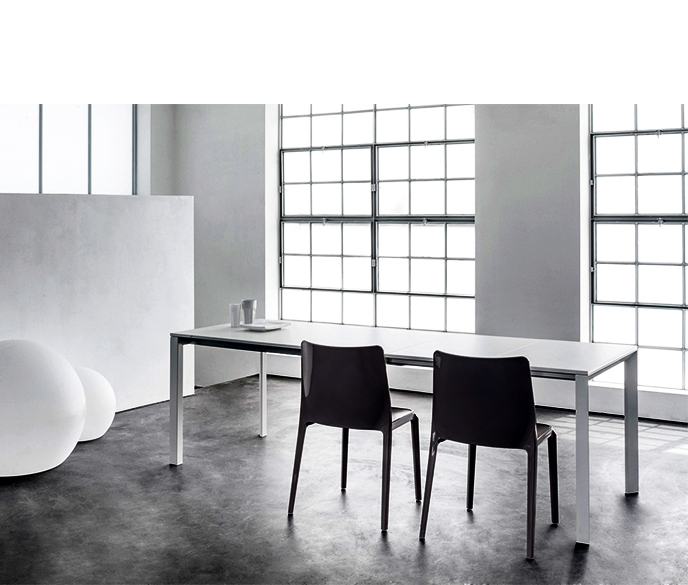 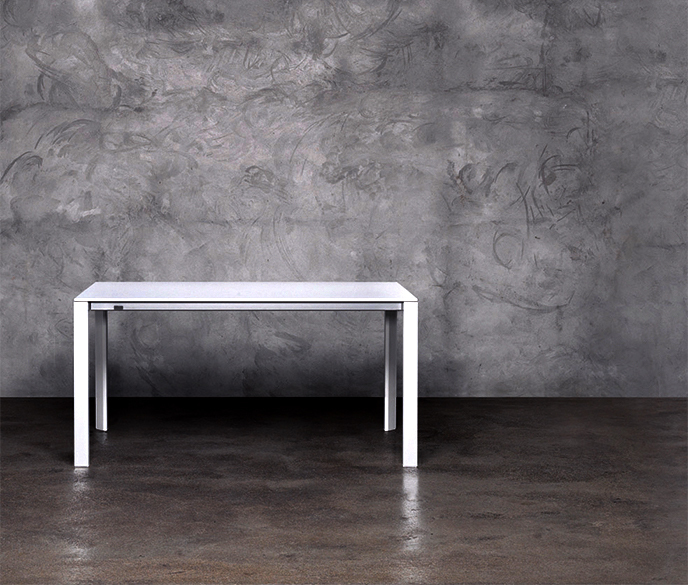 This beautifully designed table is ideal as a dining table or meeting room table. 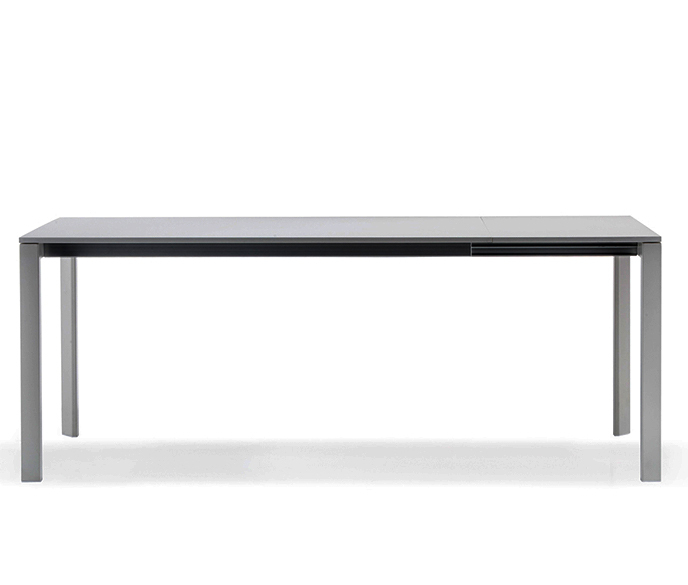 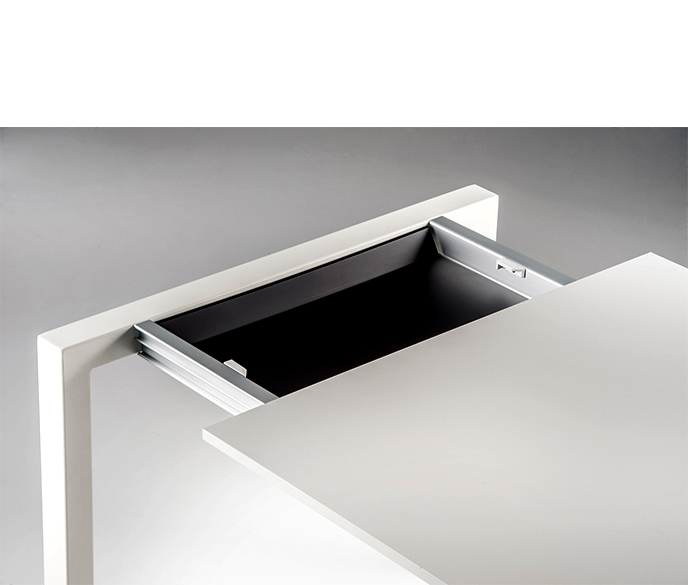 More is designed with shaped structural steel legs, aluminium sliding rails, melamine top.